Rock – Hip-hop – Grime – Dubstep – Drum n Bass – Indie – Reggae – R&B – Punk – Bhangra – Jazz… OUR MUSIC!! Our music is living testimony to the fact that cultures can and do mix. It unites us and gives us strength, and offers a vibrant celebration of our multicultural and multiracial society. Racism seeks only to divide and weaken us. 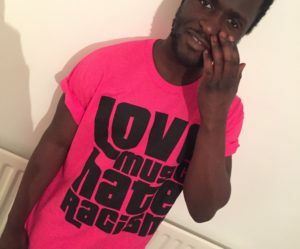 Love Music Hate Racism (LMHR) was set up in 2002 in response to rising levels of racism and electoral successes for the British National Party (BNP). We use the energy of our music scene to celebrate diversity and involve people in anti-racist activity, in the tradition of the Rock Against Racism (RAR) movement of the late 1970s. There have been now been many hundreds of LMHR events, from large outdoor festivals to local gigs and club nights. Top artists who have performed at our events include Ms Dynamite, Kasabian, Hard -Fi, Babyshambles, Akala, Get Cape Wear Cape Fly, Estelle, The View, Lethal Bizzle, Kano, Roll Deep and Basement Jaxx. Just as important are the up-and-coming bands, DJs, MCs and their fans who have performed at or organised their own local LMHR nights. The LMHR campaign has a renewed importance with the increase in islamophobia, anti-migrant racism and hostility towards refugees in Britain and across Europe. We think it is time to reignite our national movement against racism through music. It is vital that everyone gets involved however they can.